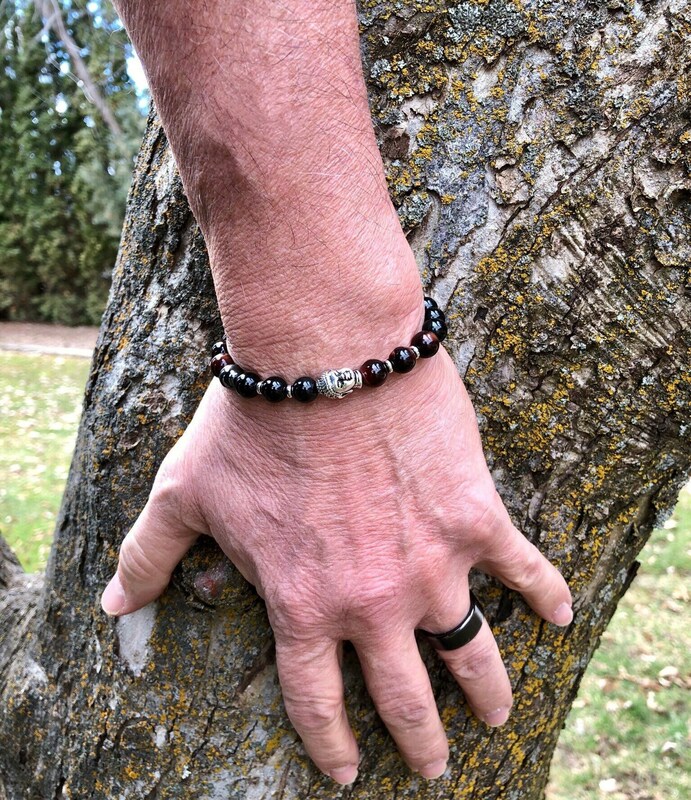 The Men’s Victory Mala Bracelet features luxury high grade Red Tigers Eye, Black Obsidian and Hematite along with an antique Tibetan silver Buddha to boost your confidence, increase motivation and stabilize emotions. This one delivers results. It has a strong vibration that you will feel all day long. Obsidian is a naturally occurring glass formed as an extrusive igneous stone. A protective and magical stone, it forms a strong shield against negativity. It blocks psychic attack and absorbs negative energies from the environment. 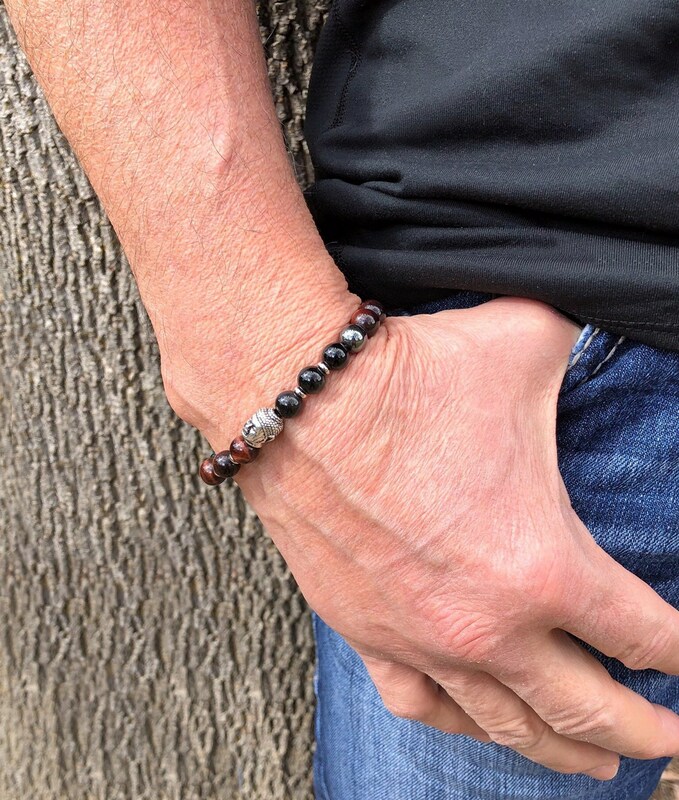 Obsidian draws out mental stress and tension, bringing clarity to the mind by clearing confusion. It stimulates growth on all levels, urging exploration of the unknown and can actually help you to know who you truly are. Obsidian is also known to dissolve emotional blockages and ancient traumas. 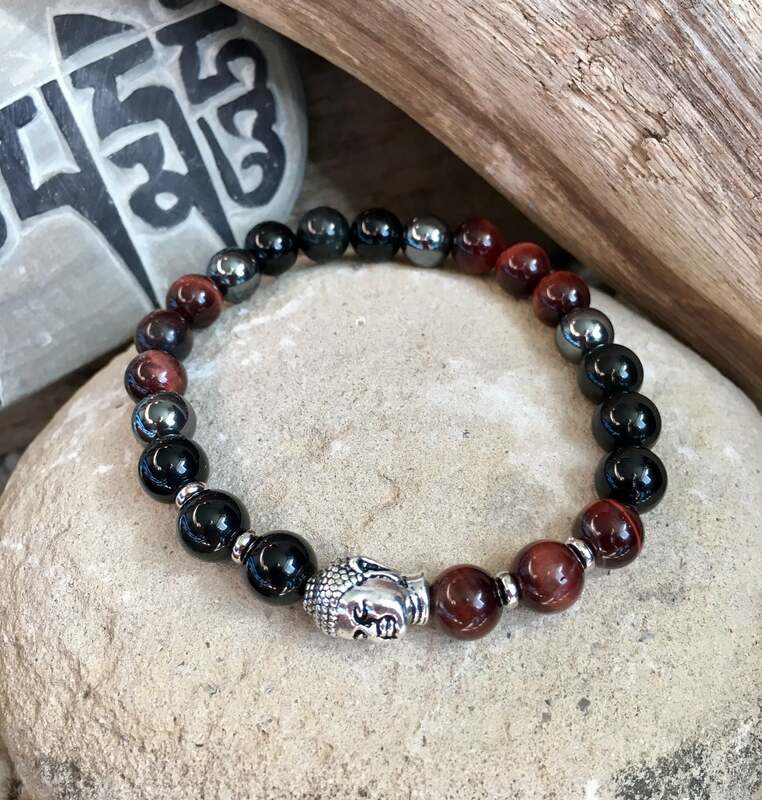 Red Tigers Eye is a rich deep red gemstone that brings energies of vibrance and vitality. It enhances integrity, overcomes lethargy, provides motivation and speeds up metabolism. It is said to help one have the practicality and willpower to take care of oneself fully. 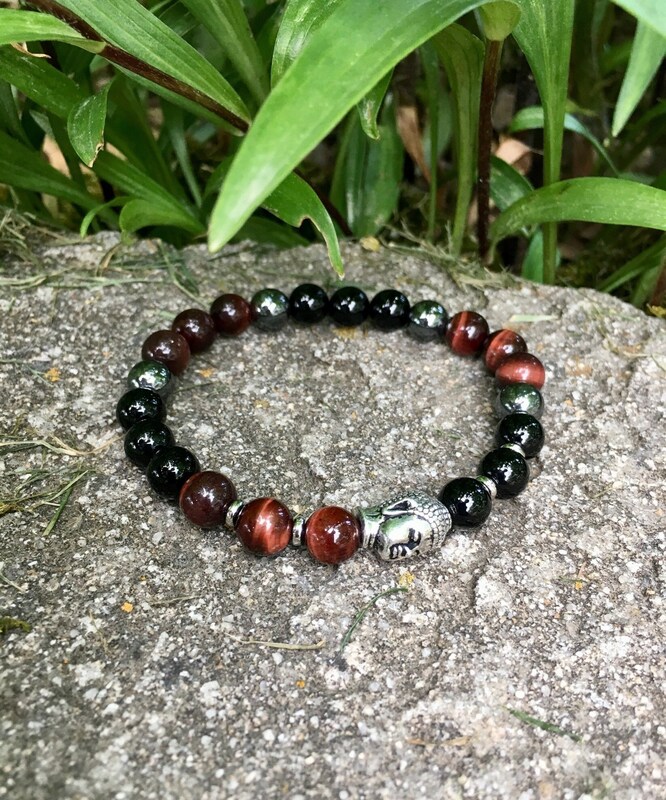 Red Tigers Eye helps to keep you strong and grounded, confident in your power, unafraid of new territory.